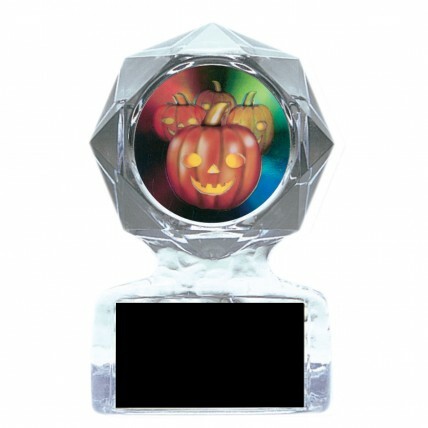 Give our Halloween Acrylic Star Trophy to the winner of your costume party or pumpkin carving contest. 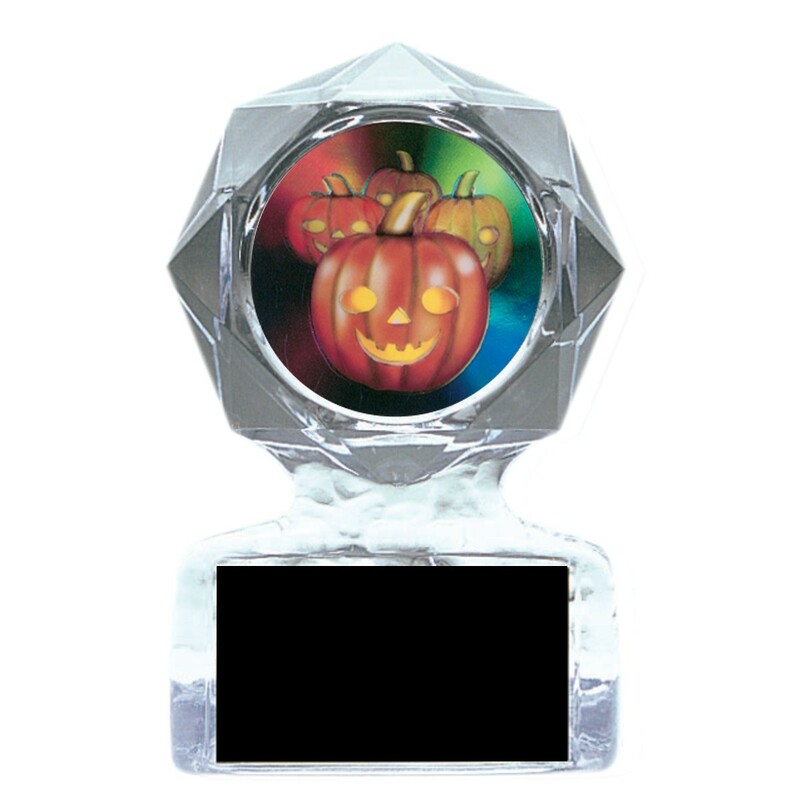 This small trophy features a friendly jack-o-lantern mylar inside a clear acrylic star award. Available in two sizes, this Halloween trophy is sure to be the hit of your party!